Helo Guys!!! In this video you can learn How To Send Big Emojis From Whatsapp,Facebook, 2017 Best Big Size Emoji Android Application and please don't forget to Like, Share, Comment and Subscribe to our Techno Vedant Channel for more videos. The new emoji pictures are updated regularly. You can send emoji images towards Android or iPhone phones. Warning: this is not an android emoji keyboard, emoji are sent as pictures! 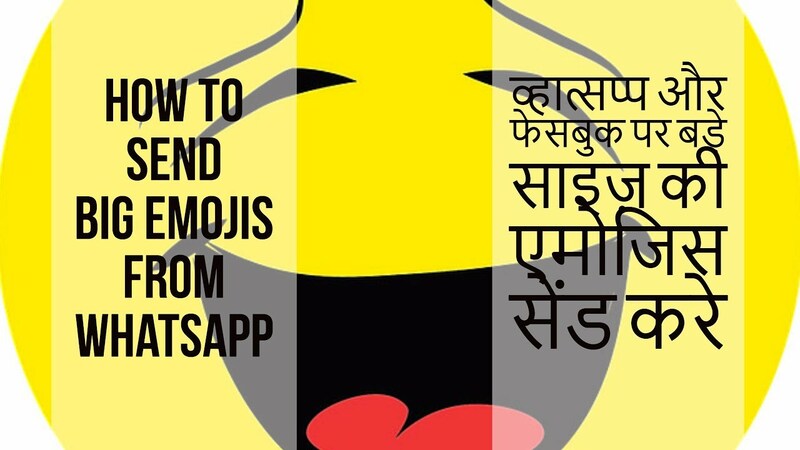 How to use Big Emoji App? ✔ Directly add a giant emojis to a chat by tapping on it and selecting among the chat apps that appear in the Share menu. 😂 Emoji & people: smileys faces, people and signs ;-) Now with different skin color tones from white to black, couples, families... and new emojis 🤖 Robot Face, 🦁 Lion Face, 🤘 Sign of the Horns, 🤗 Hugging Face, 🤔 Thinking Face, 🙄 Face With Rolling Eyes, 🤐 Zipper-Mouth Face, 🤓 Nerd Face, 🙃 Upside-Down Face, 🤒 Face With Thermometer, 🤕 Face With Head-Bandage, 🤑 Money-Mouth Face, 💩emoji poo and a lot more..
💘 Love: hearts, couples, Valentine’s day emojis. 😎 Superheroes and famous characters: star wars, batman, hulk, spiderman. 👍 Trendy : Trump or Not Trump, exclusive DAB and smileys with fingers in the nose.